Spring is almost here! That means dresses, t-shirts, sandals, and tanks are all about to make their debut... again. Hit "refresh" on last year's spring wardrobe with one of our adorable charm necklaces. 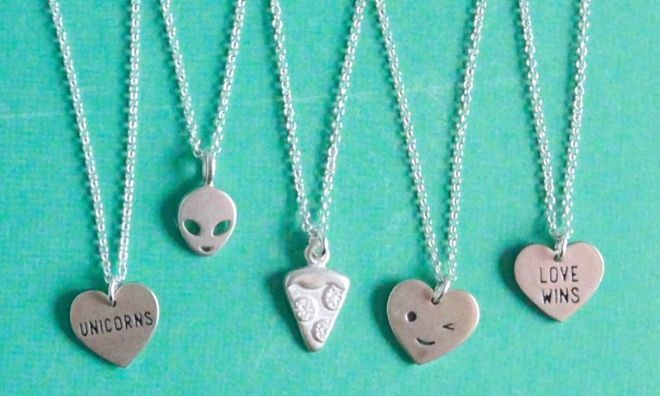 Whether you prefer pizza or unicorns, we are sure to have the perfect charm for your personality and style. No one will notice last years sundress with one of these beauties around your neck. Find our favorite charm necklaces here! Or, come into the store and have us help you pick one out!